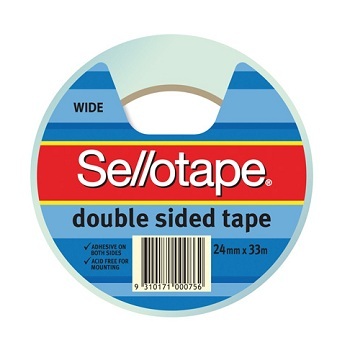 Even though Sellotape is a global brand, Sellotape Australia has a separate identity and operates independently. It was introduced in Australia in 1938. 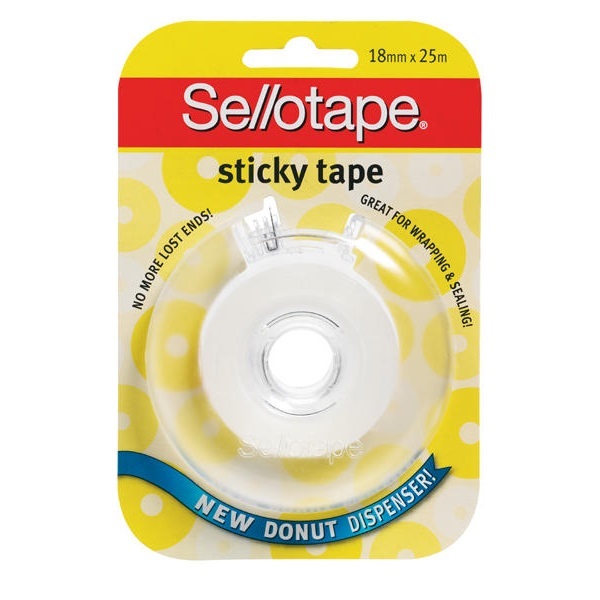 Sellotape offers a range of clear sticky tapes, double-sided tapes, masking tapes, sticky dots, discs and gripping stuff adhesive products. The clever, award-winning design Donut dispenser means no more lost ends. This polypropylene tape is strong and waterproof. Suitable for general sealing, holding and wrapping applications around the house and office. 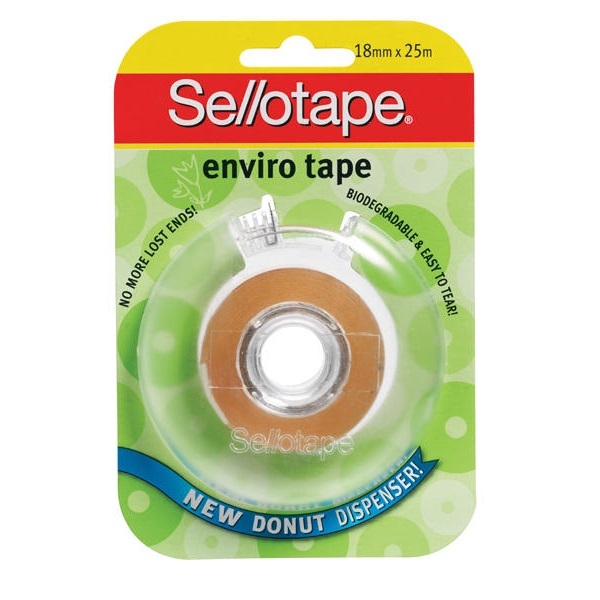 Individual roll of 18 mm x 25 m tape in donut dispenser. This biodegradable tape is non-static and tears easily by hand when required. It goes on clear and is good for sealing, holding, packaging and repairing torn documents. Double Sided Tape is ideal for holding most forms of display and other presentation materials. Polypropylene tape with superior holding power. Acid free - will not yellow with age or destroy photos. 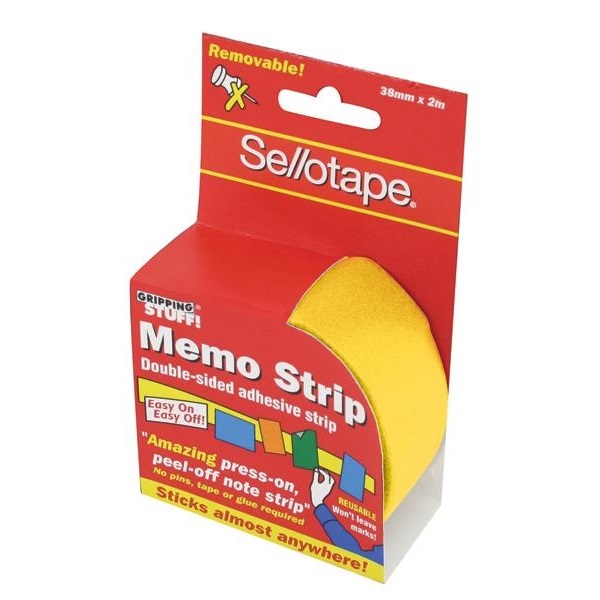 Tape contains an easy removable backing strip. Individual roll of tape. Available in 3 different widths. 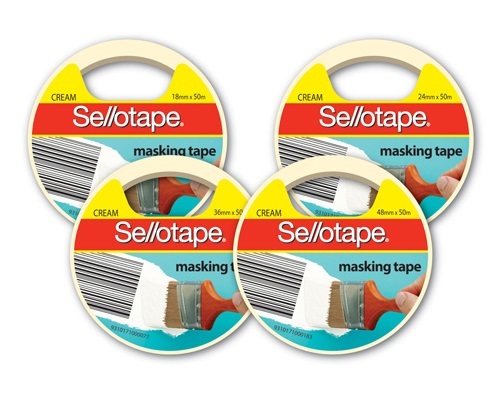 Masking Tape is ideal for masking applications during painting and other protective purposes. Crepe paper tape, biodegradable and easily torn by hand when required. 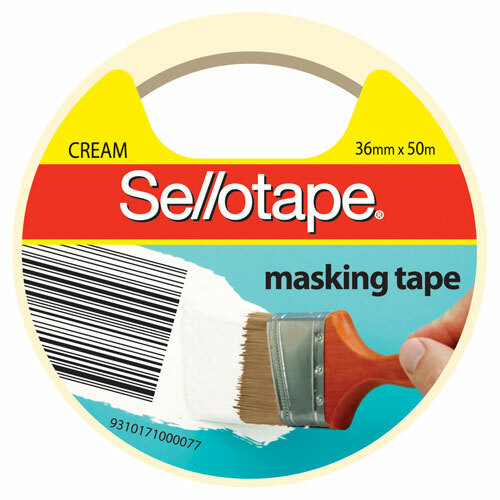 General purpose masking tape safe for use on nearly any surface leaving no marks. Individual roll of tape. Available in 4 different widths. Clear double-sided peelable glue dots. Lots of uses in the home, office and school. Ideal for temporary fixing and quick to remove. Acid free, lignin free and non toxic. 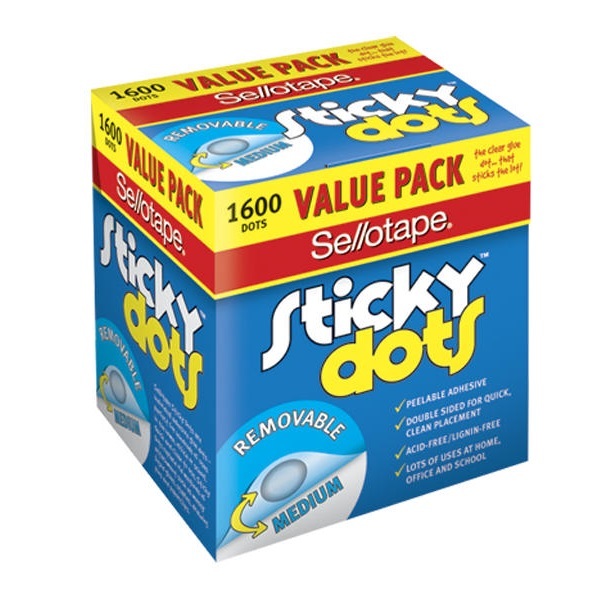 Handy value pack of 1,600 removable glue dots. The clear glue dot... that's photo safe! Clear, flat double-sided photo safe, lignin free and acid free glue dots. Fantastic for fixing pictures and certificates. Replaces photo corners, messy liquid glues and sprays. 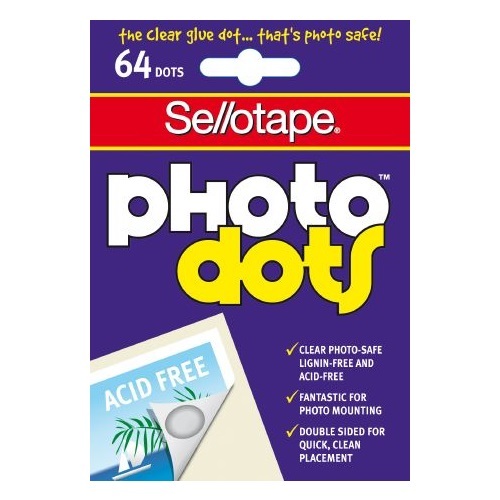 Pack of 64 clear adhesive dots. The quality clear disc... with lots of sticky uses! Clear discs with adhesive on one side. Pre-cut sticky tape circles. Acid free, lignin free and non toxic. Ideal for sealing, gift wrapping and attaching cards. 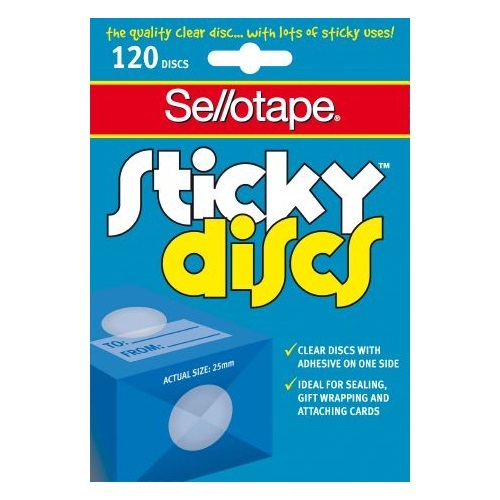 Pack of 120 clear, adhesive 25 mm discs. Gripping Stuff is an innovative self stick adhesive felt product. Removable. Re-usable. Repositionable. Sticks almost anywhere. Ideal for displaying notes, memo, cards without using pins or tack. Individual roll of 38 mm x 2m yellow, double-sided self adhesive strip.